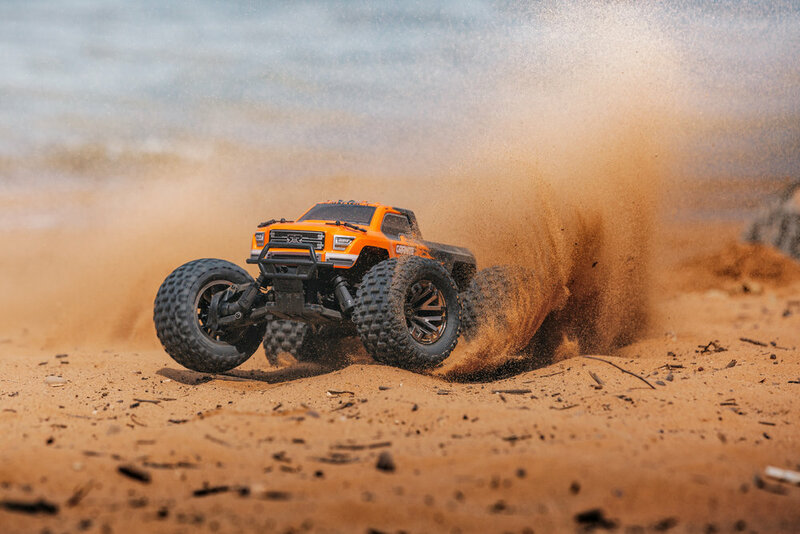 The latest member of the super-tough and super-fast family of ARRMA RC bashing machines is a bold and versatile beast, worthy of the NERO 6S moniker, and loaded with awesome features, straight from the kit box. 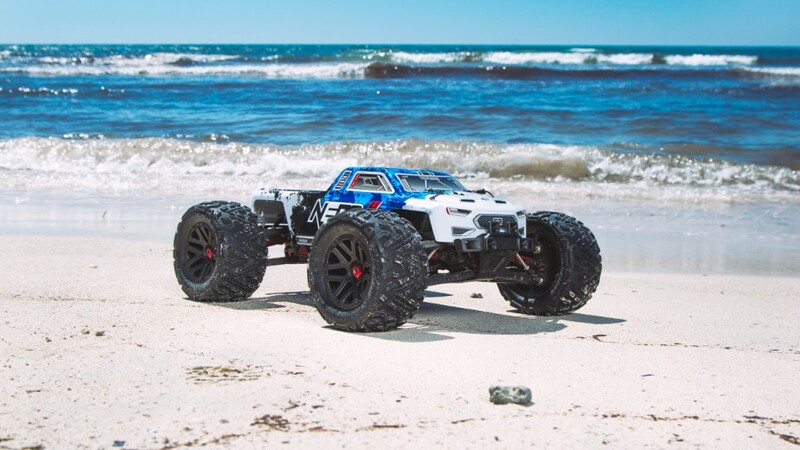 Scaler looks are teamed with a host of heavy-duty parts, giving the NERO 6S BLX Big Rock awesome looks and even more muscle. 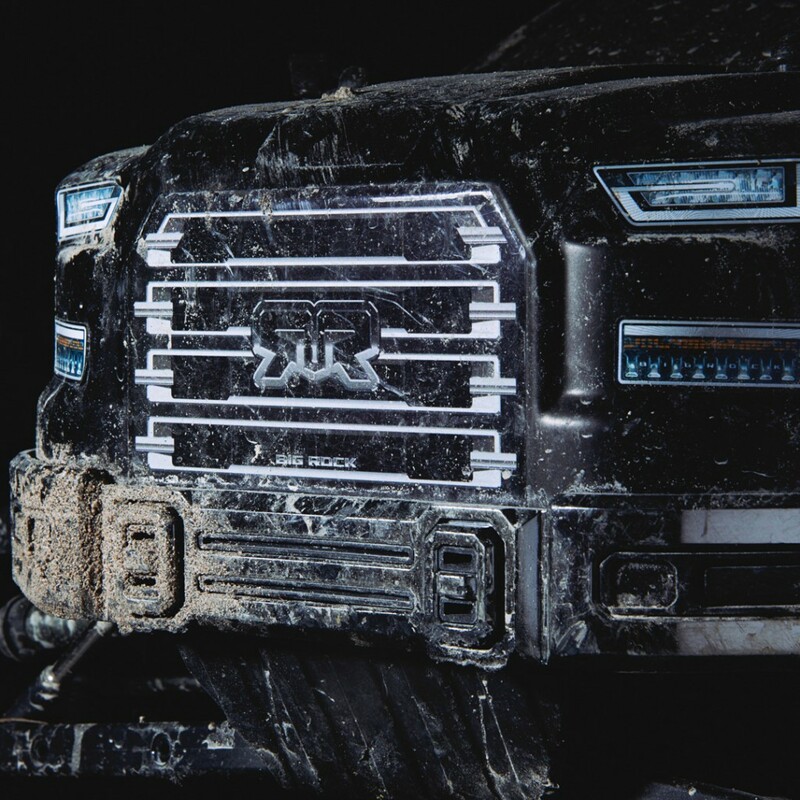 Rugged durability is standard, with the internal layout shared with its close siblings, and an external look that emulates the super-slick crew cab power trucks found in the full-scale off-road world. 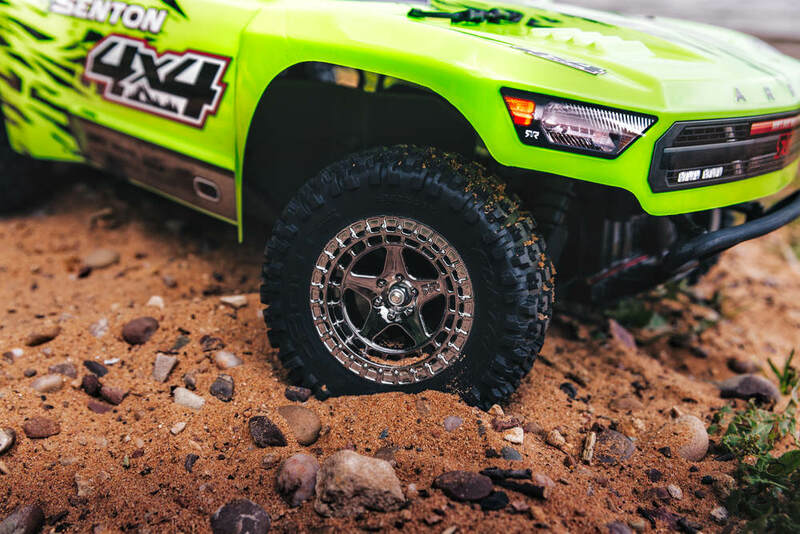 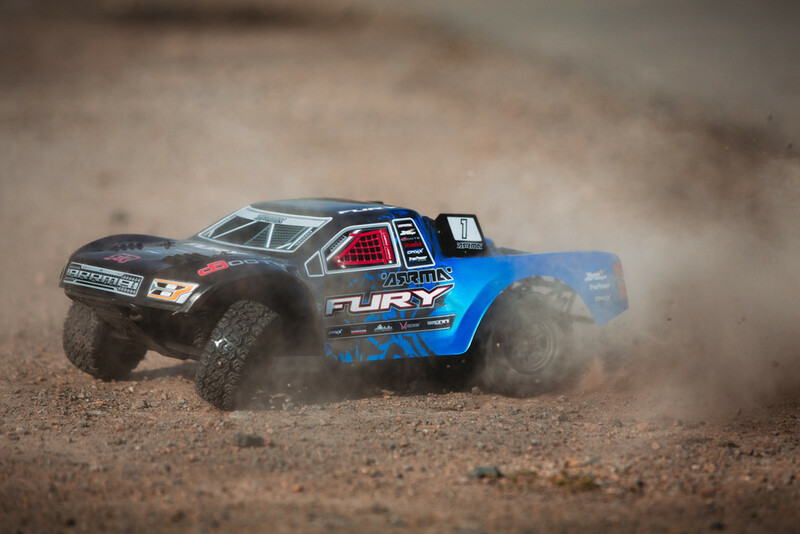 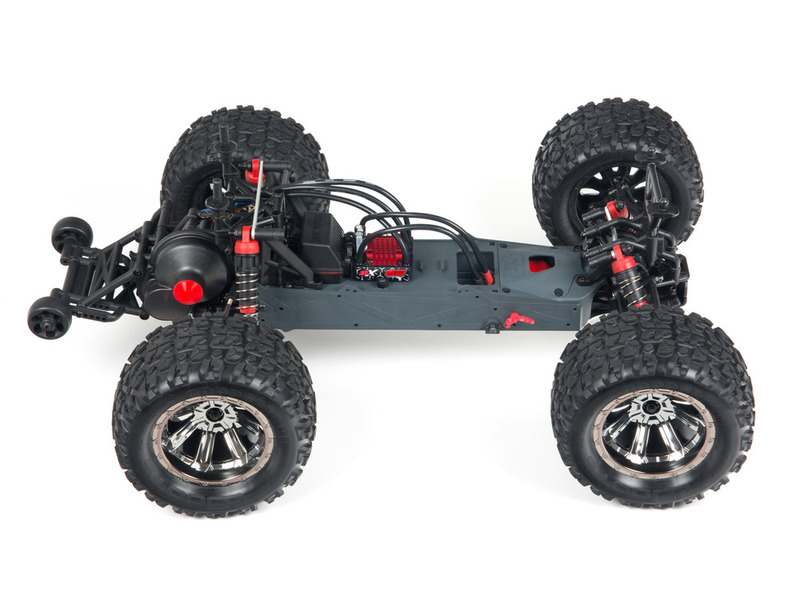 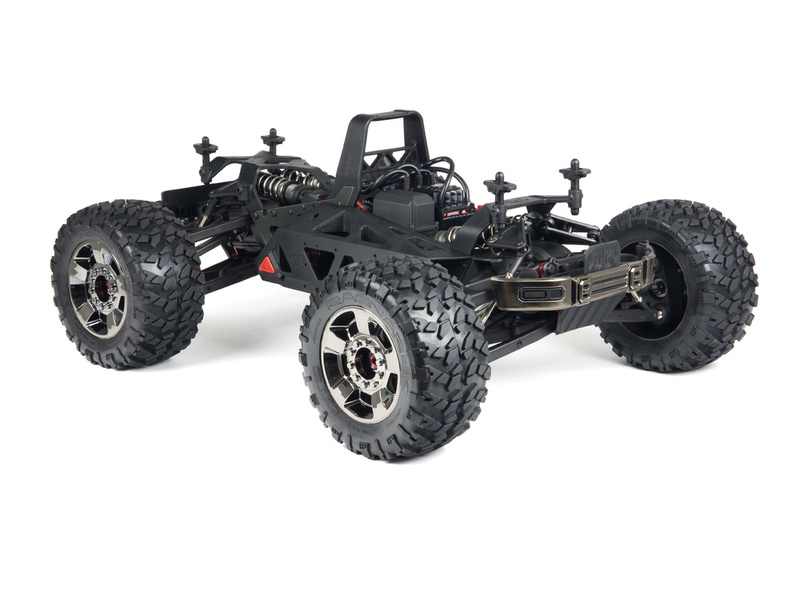 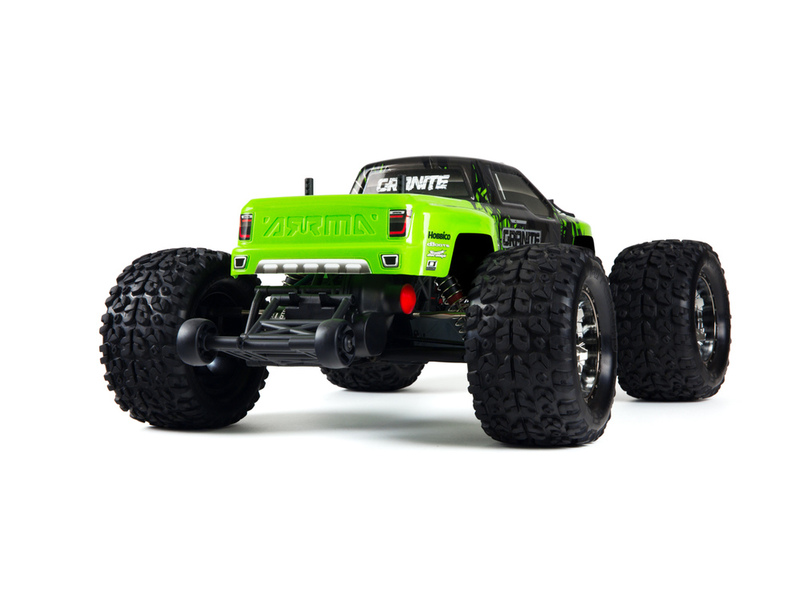 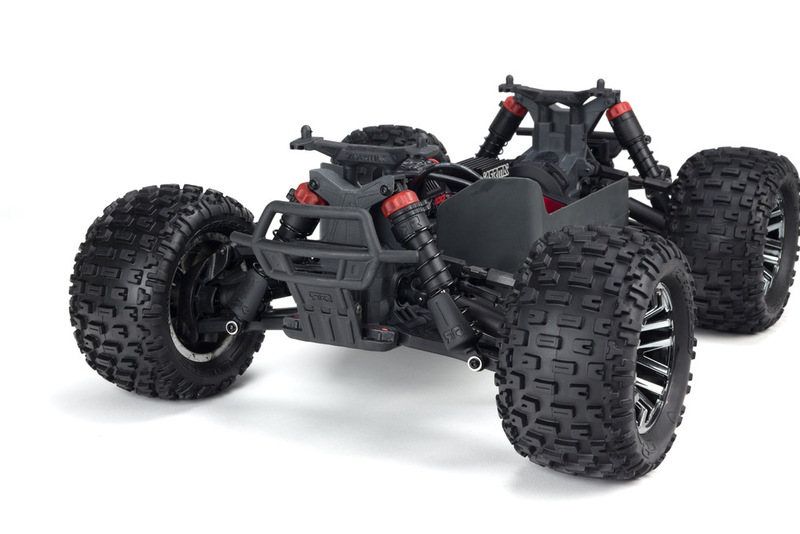 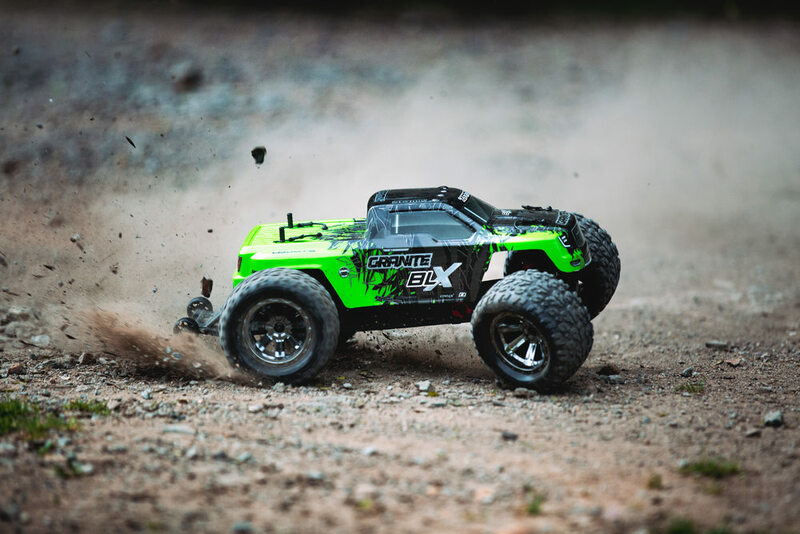 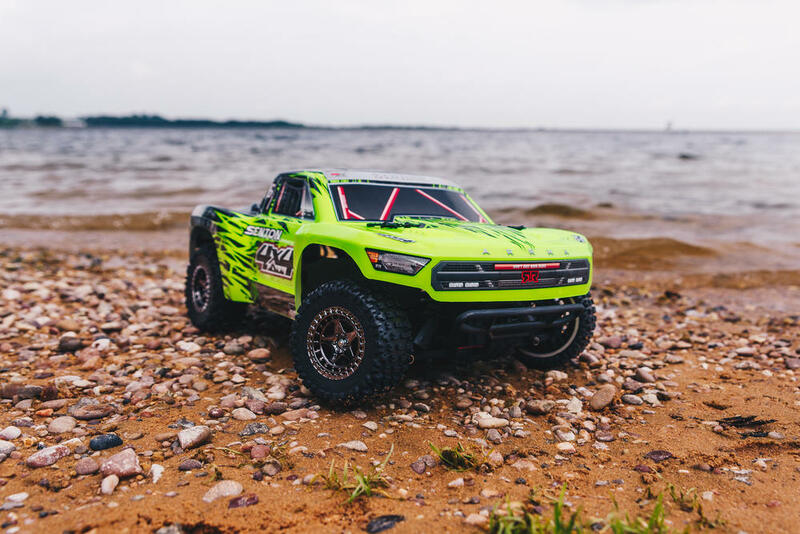 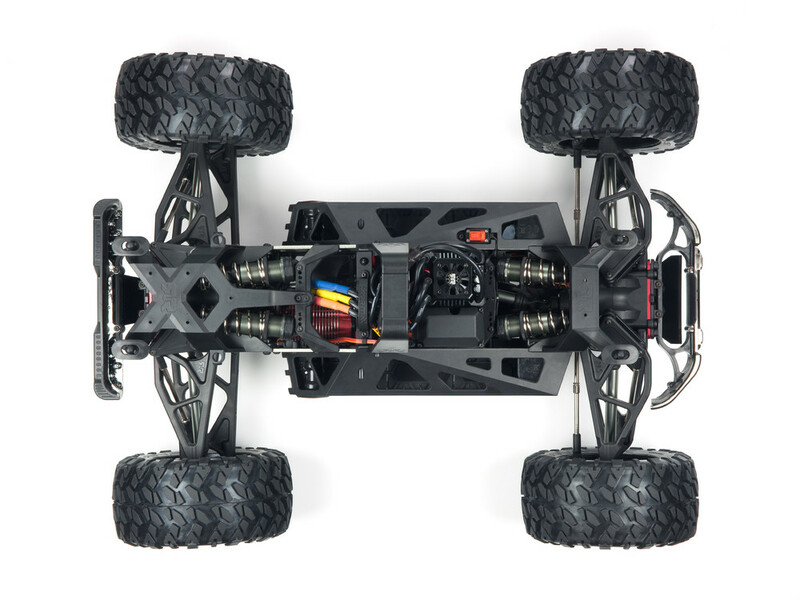 Equipped with ARRMA Diff Brain on-the-fly versatility, mastering the included four beast driving modes is a simple task, controlled directly from the included 2.Ghz radio transmitter as you carve a new path through the most extreme environments. 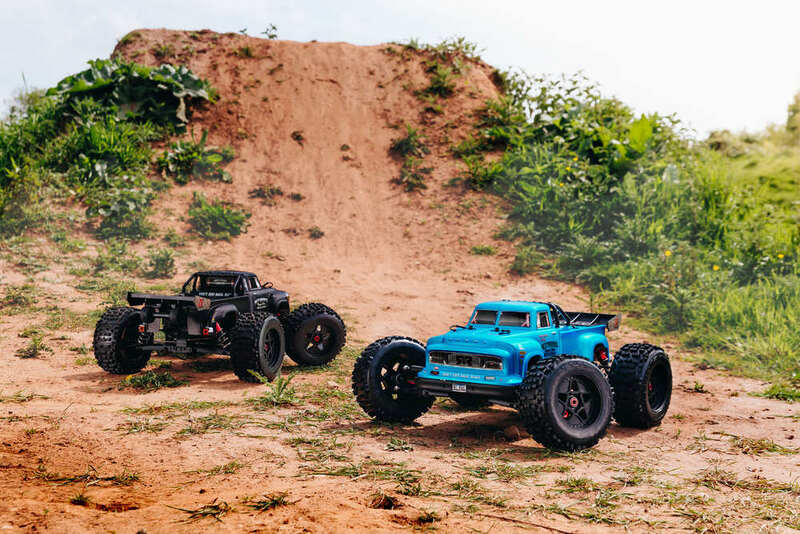 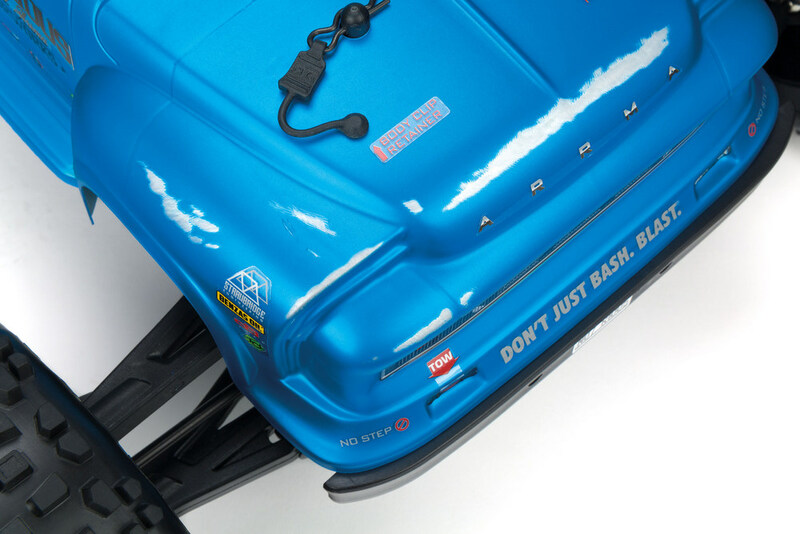 The family heritage provides a perfect platform, allowing the Big Rock to easily handle 6S LiPo-fuelled street speed runs, then switch to ripping up the backcountry rough stuff, all done in incredible style, due to striking big rig scaler looks. 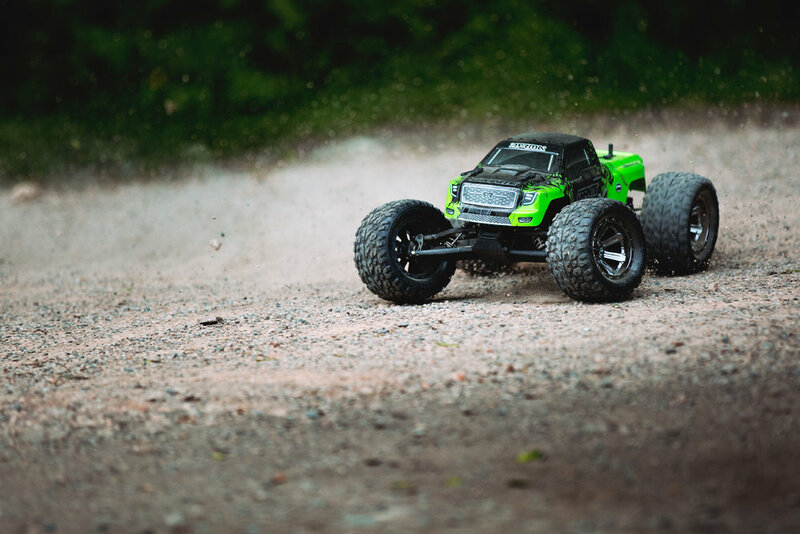 We loved shooting the new ARRMA NERO BIG ROCK images ready for yesterday’s launch of the BIG ROCK GIGA-site so much that we’ve turned some of the best shots into desktop wallpapers to share with you! 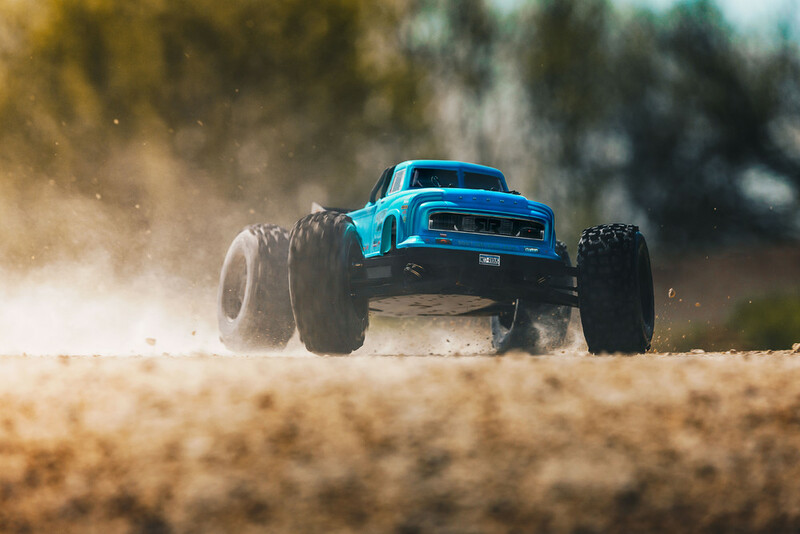 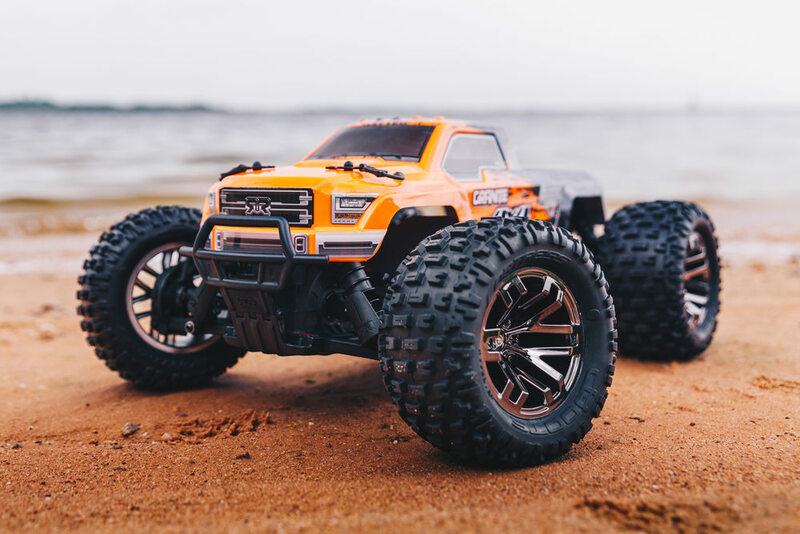 Built to withstand the rough and tumble of multi-terrain bashing fun, the GRANITE MEGA 1/10 Scale 2WD Monster Truck is loaded with strength and eye-catching looks, straight from the box. 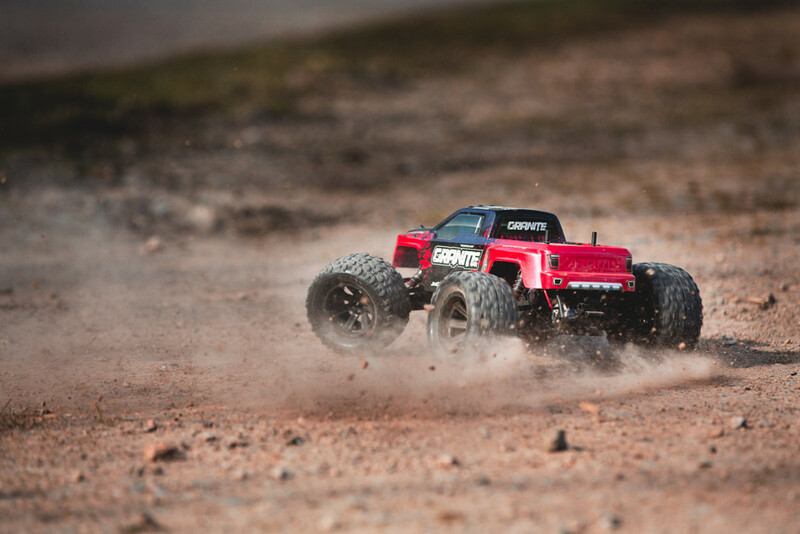 Simple construction and agile handling make the GRANITE MEGA an all-round favourite with ARRMA fans who need their RC fix, without committing huge amounts of time to complicated set-up configurations. 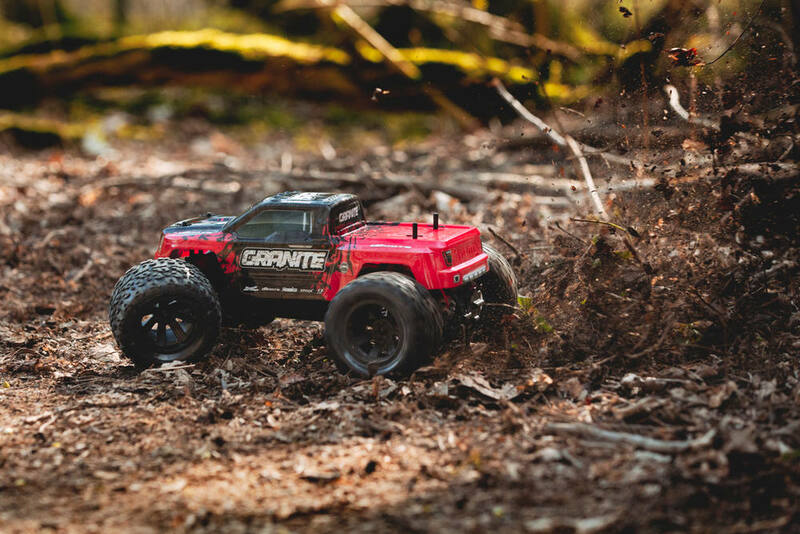 From beginner to seasoned RC Pro, the GRANITE MEGA represents awesome value, super-simple operation, and hassle-free maintenance. 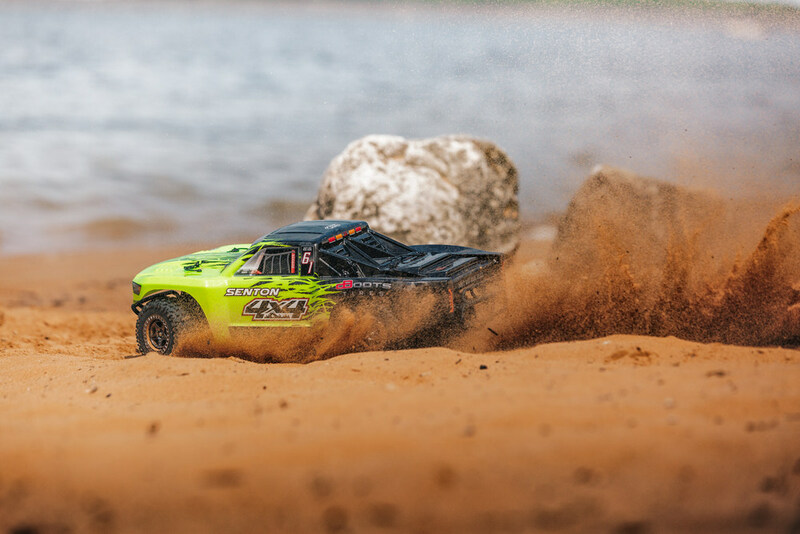 You can focus on the enjoyment of sharing the RC action with friends and family, while the GRANITE soaks up the challenges along the way. 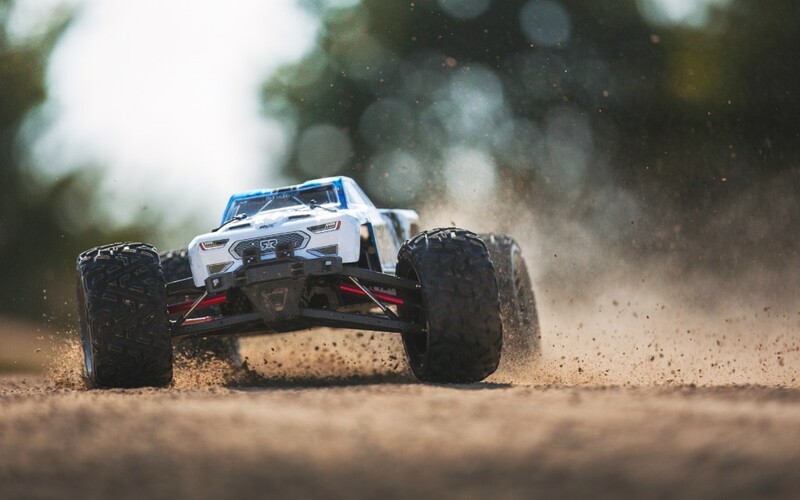 The all-new NERO 6S 1/8 SCALE 4WD Monster Truck has been captured during some early action sessions, piloted by ARRMA Pro basher, Thomas Pettersson. 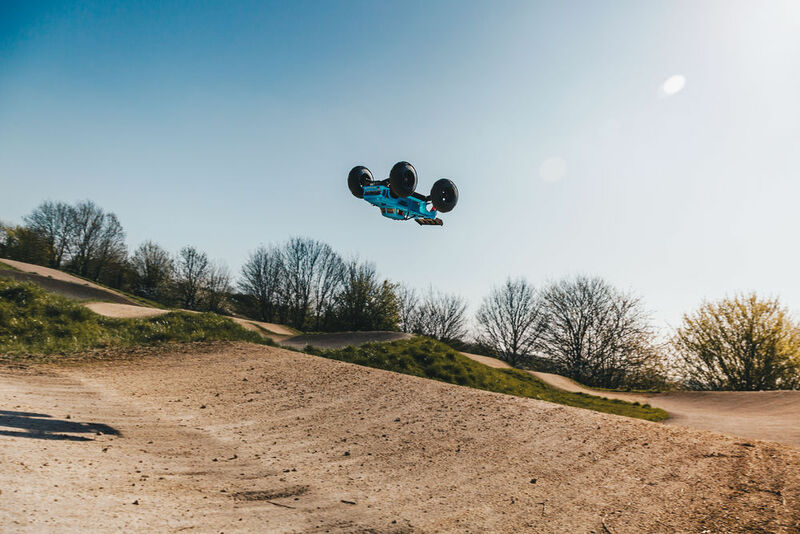 Take this early opportunity to watch the NERO 6S ripping up gravel and dirt, including some nice back flip jumps for good measure. 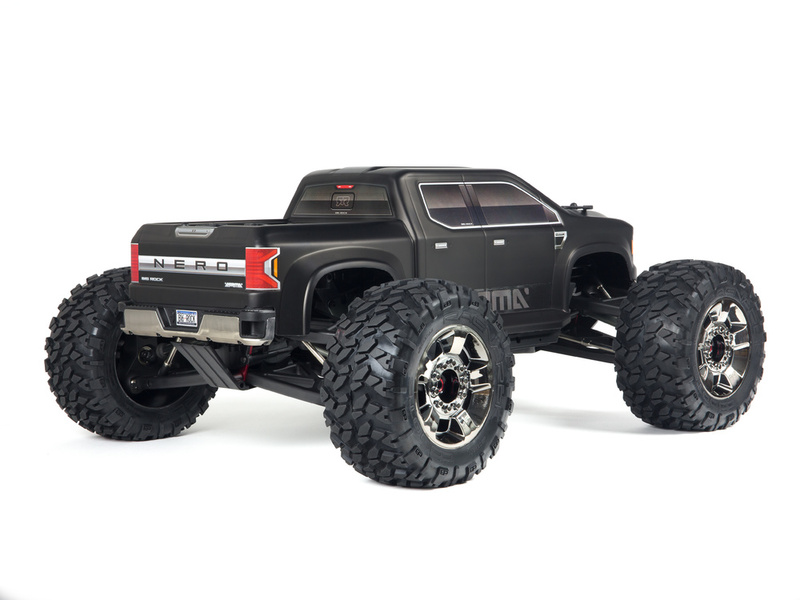 ARRMA are very proud to present the NERO 6S 1/8 4WD Monster Truck. 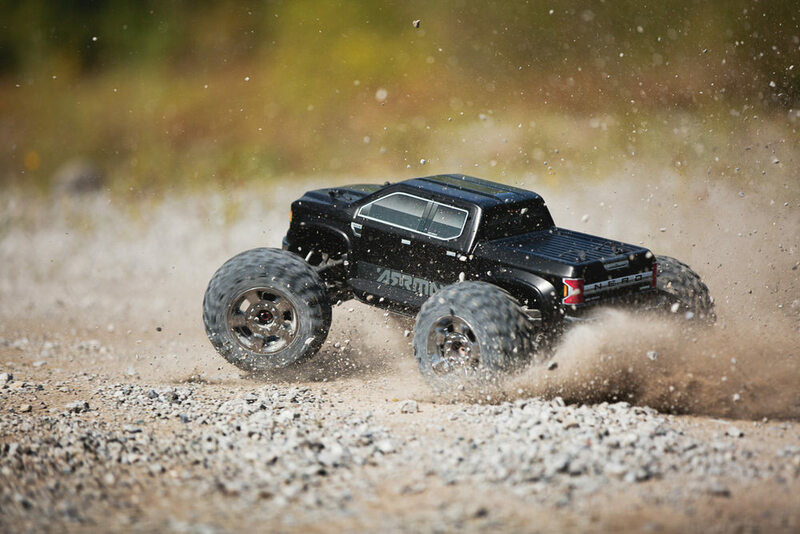 Perhaps the most powerful monster truck ever built, with almost more power than you can control … almost. 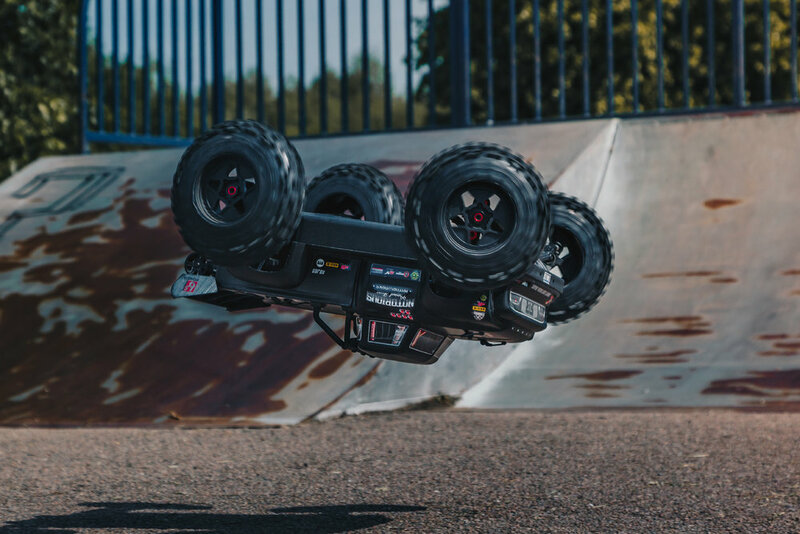 The specially designed ARRMA NERO ‘Diff Brain’ is fitted with three separate, lockable metal differentials, helping you to truly harness all the crazy 6S speed and torque. 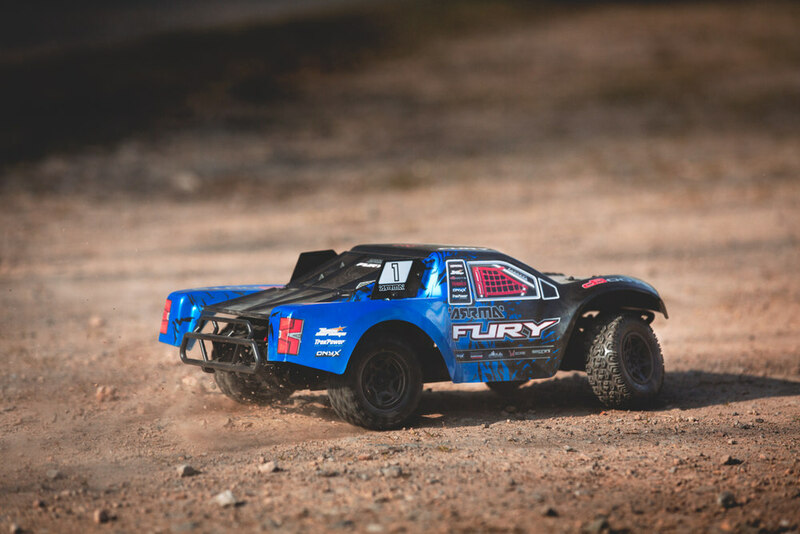 The equipped ‘Diff Brain’ also means that the NERO is essentially four awesome vehicles in one: Blast, Wheelie, Drift and Climb. 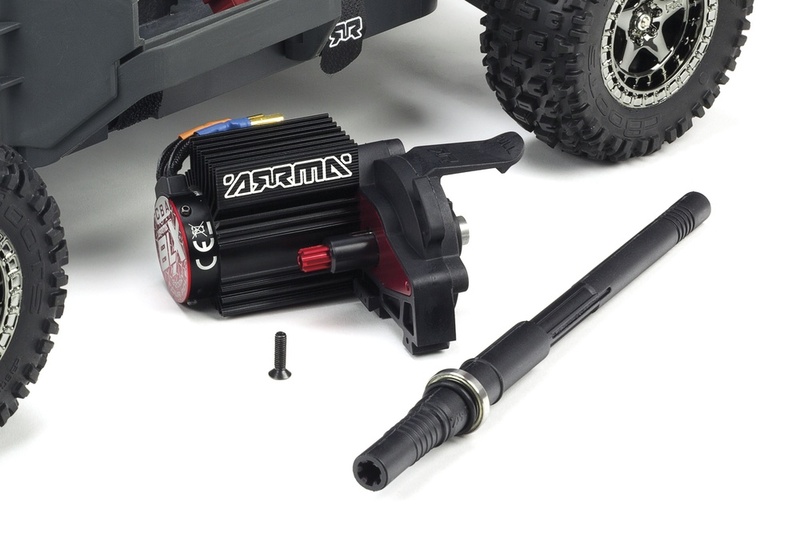 Available in two high-power specification variants, you can unleash 6S BLX Brushless Speed, straight out of the box.